The Channel Islands Co-operative Society Ltd (CICS) operates at the forefront of one of the most dynamic and progressive retail societies in the British Isles. CICS Food business operates from ten locations in Jersey and eight in Guernsey. Focussing on providing a tailored, yet flexible service, the society take great pride in ensuring CICS members and customers are able to buy the very best fresh, packaged and ambient foods at a fair price. They constantly review their procedures, operation, and technologies employed to maintain market share and exceed customer expectations. The Food distribution facility is at the hub of CICS operations. 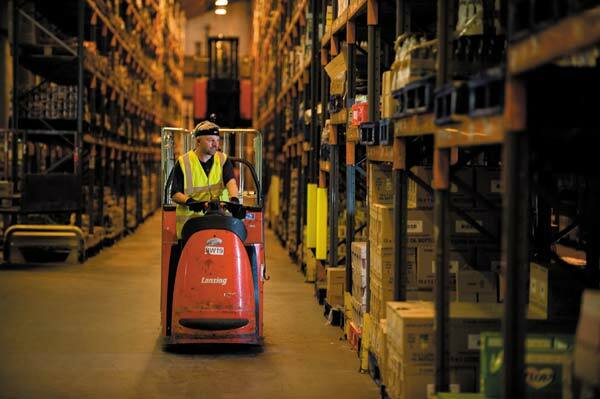 CICS services its ten Jersey stores from a state of the art food distribution centre in Bellozanne, St Helier. As CICS has grown, the need to run an effective and efficient distribution operation has become critical. In response to this, CICS implemented a traditional RF scanning solution into the goods receipt department of the CICS distribution centre. The main driver for this was the inefficiency of the existing paper based system and associated cost implications for the society in terms of loss of productivity and errors. CICS in partnership with RCS, selected leading mobile computing providers Belgravium to implement a full solution to automate the RF process. In the 6 years since the implementation, the Belgravium solution has secured many tangible benefits. CICS have continued to grow, now dispatching in excess of 55,000 cases per week and growing to over 90,000 square feet in capacity. CICS needed to support this growth and realised that the existing solution needed to evolve, with even tighter controls needed to be placed on maintaining and increasing productivity. With a full Wi-Fi network already in place across the whole of the distribution facility CICS decided that they had to extend the use of RF technology from goods receipt to a fully RF operational warehouse. They required a system that would enable real-time management and control of the whole of their operation. Looking at the technologies that could be employed to improve the automation and management of their stocks, Voice Recognition was identified as the ideal solution for their operation. With the industry quoting accuracy levels of 99.8%, the hands free technology was particularly suited to the Jersey operation – allowing the pickers to quickly manipulate products, yielding higher pick rates and leading to improved accuracy and reduced cross picks. Belgravium’s existing solution was easily configurable – the progression to a voice system essentially required an add-on to the existing warehouse management system. The multimodal Atlanta handheld, currently used for the goods receipt operation was voice enabled which provided CICS with the flexibility to switch between traditional scanning, and with the addition of a voice headset, could be instantly transformed to a voice terminal. With the addition of the thin client software “Voxbrowser”, CICS had all the elements for a full voice system. The new voice solution now extends the use of the RF technology to cover the full spectrum of warehouse activities including the picking and load dispatch operations. CICS now have ability to view which users are currently operating in the warehouse and can allocate pick assignments simply and quickly, automatically directing each picker to their next assignment via their voice recognition headset. At the start of the picking operation, users will allocate three roll cages to an assignment. Each roll cage is labelled with a barcode and a 4 digit number which is then scanned into a picking assignment. The three roll cages are identified as A (Alpha), B (Beta) and C (Charlie) – an identity which will stay with them throughout the whole of the picking operation. From the voice recognition system, the user will be directed to a bin or pick location via voice commands, the user will pick the specified item and nominates which roll cage the item should be placed in. Finally, the pick is verbally confirmed by speech, for example “Got One, Charlie”. Once a pick assignment has been completed, the user will verbally confirm this via speech. This will enable a roll cage label to be produced and attached to the completed picked cage. The cages are then moved to the loading area for dispatch to stores. Part of the “pick to voice” solution – enabled the development of the dispatch function. Utilising traditional scanning for this function, users scan the barcodes on each roll cage with the Atlanta handheld terminal, for the completed order, prior to loading it onto the delivery vehicle. Since the system went live, the confidence in the system has continued to grow and as a result the average pick rate has continued on an upwards trend. The voice directed picking keeps users focused and less distracted. The improvement in efficiency has resulted in numerous benefits for CICS through increased productivity, accurate consignments and timely deliveries. 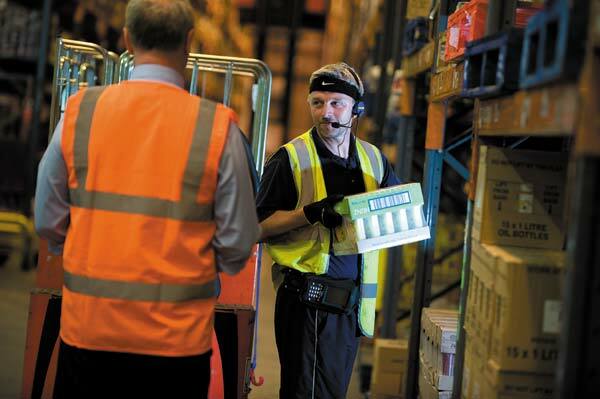 The increased productivity within the warehouse has reduced the need for overtime, and continues to deliver significant cost savings to CICS. In addition, the system has facilitated greater visibility of the warehouse operation as a management tool. The ability to log in remotely in real time means CICS are able to constantly monitor the pick rates in the operation. Should there be a dip in these, they can quickly identify the reason why and put the corrective action in place – reducing the disruption and maintaining an efficient operation. CICS employs a mix of nationalities including Polish and Portuguese. The systems ability to cope with any language or dialect makes it ideal for their multi ethnic workforce allowing them to interact with the system using words that they are comfortable with. In addition, CICS have a partially deaf operative who was required to use the voice recognition system. This didn’t raise barriers to using the system. The user friendliness and consistent and in depth training of the voice profile for the user meant that the employee was not impeded by the solution – and has become one of the best pickers within the warehouse!!!!! This new solution has allowed the St Helier distribution centre to be a lot more reactive to the stores requirements. The ability to view stock before it arrives in-store, allows the store to identify stock location and availability for empty shelves. The flexibility of the system allows CICS to then facilitate early dispatch of the cage in order to fill the empty shelf space. With respect to accuracy it is as close to 100% as it could be. Company reports show that there are few ‘cross picks’ and shortages, – the new dispatch function now means that CICS can not put a roll cage onto a vehicle that was not going to a specified store. Once the load is dispatched, the products on the roll cages are electronically dispatched, so each store would know what to expect on their delivery before it even arrives. The ability to physically identify what goods have been received in store reduces invoice queries, something that wouldn’t have been achieved utilising the old label system.